There might well be sufficient evidence (prima facie or not) for God (as I think there is), but how does this fact make believing in God without evidence superfluous? If anything, it is precisely the other way around. It is when we can have a non-inferential immediate knowledge of God, that makes evidence for belief in God unnecessary and therefore superfluous. This being said, I don’t think that coming to know God non-inferentially excludes the importance or value of showing that God exists according to the available evidence. It’s not a matter of either/or, but of both/and. There are many people who apparently find themselves in a position where they can’t determine, based on the evidence alone, on whether reality is what you would expect if God exists. This is partly the reason why Pascal introduces his wager and says that it would be rational for such people, not to suspend judgment, but to choose for pragmatic reasons to live as if God exists and that true belief will eventually follow. Also, I’m not sure what the point is about a universe with non-stop suffering. Yes, you wouldn’t expect such a universe if God exists, but that is irrelevant. There is enough prima facie evidence of evil and suffering in the real world, so many non-theists argue, to keep them from believing that this is the kind of world that you’d expect God would create. Now, I think there is an answer to this, but the point is that even the theist could be so immersed in pain and suffering, that they too wouldn’t in good conscious say that the world looks like a place that they’d expect if God exists – but who nevertheless found themselves with the belief that God is real. It is no stretch to think there were many theists like this throughout history, who were for most of their lives under severe persecution or suffering, in circumstances of prolonged pain or continuous oppression, restricted to small geographical or cultural areas, and cut off from the wider world, and who still believed in God. According to your line of thinking here, these believers were all decidedly irrational in their belief. In this scenario, belief is something you can only justifiably have if you are lucky enough to live in a time and place where you could experience enough prosperity and happiness so as to reasonably infer that God, a good God, probably exists. But now, since some believers have experience mostly misery on a daily basis, you are banished to epistemic darkness from which you cannot escape even if God is real. I wonder if Job would have agreed with this assessment. This is simply a misunderstanding of what reformed epistemology claims. If you’re familiar with epistemology in general you would know that epistemic justification is relatively easy to have (yes, a belief in voodoo probably not excluded), and not at all peculiar to reformed epistemology. Someone might be justified in having a certain belief given their circumstances and background knowledge, even if such a belief turns out to be false. Clearly such a false belief, though justified, would not be warranted since it’s not true and therefore cannot be considered knowledge. So the issue that reformed epistemology is concerned with is one of warrant, in particular that belief in God is warranted if and only if theism is true. This means that even if someone claims a particular belief is basic to them and even if they have prima facie justification (like the Voodooist or Muslim), then it might still not be properly basic (in the sense of having warrant) if it can be shown to be false. The fact that it might be difficult to show that someone’s prima facie evidence does not warrant their beliefs, is neither here nor there. Weighing evidence and arguing soundly mostly is simply a difficult endeavor. But the point is that reformed epistemology does not imply that any old belief is warranted. I don’t see what the problem with conflicting religious experiences is supposed to be. You certainly don’t have to accept reformed epistemology to realize that when people claim all kinds of different religious experiences that not all such experiences can be veridical, especially if only the Christian God exists. But at the same time you don’t have to feel the need to defeat every seemingly conflicting religious experience since many of those experiences might well be veridical simply because God is truly involved in many experiences people might have, even if they don’t initially recognize God for who he truly is. Of course one should be concerned about whether your beliefs are true. 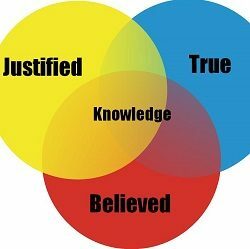 The point of reformed epistemology is just that when you find yourself with a particular belief, then you don’t assume that it’s not rational, justified or warranted to hold that belief simply because you can’t give reasons for its truth. Some beliefs are properly basic, in other words, they are the kinds of beliefs produced, not by inference, but simply by your cognitive faculties when they are functioning properly in the right kind of cognitive environment. Thus, if you find yourself with the belief that you had eggs for breakfast, then you don’t have to provide yourself with evidence for such a belief in order to know that you had eggs for breakfast. That you know, in such a case, is not dependent on any evidence that would explain why you know it. Are you therefore under an epistemic obligation to find out whether the belief that you had eggs for breakfast is true? No, not if such a belief is properly basic – this is the insight of reformed epistemology. It doesn’t mean that the truth of a belief can’t be challenge, even if it seems properly basic. There could well be reasons that make it apparent that a particular belief is not properly basic after all. To knowingly ignore such reasons is unquestionably irrational. But until and unless such reasons are evident you are not obviously or necessarily irrational, unjustified or unwarranted in holding a specific belief without evidence. When someone therefore says that something just seems to them to be the case, then they might hold such a belief in a basic way, but it doesn’t make it properly basic, especially not if there are reasons to think it is false. The possibility of defeaters is both recognized and important in RE because it shows that if there is evidence that theism is false, then a belief in God is not warranted (apart from the presence of any intrinsic defeater-defeaters, which we come to shortly) even if it justified and rational. So RE is indeed concerned with the truth of theism, it just says that to know theism is true is not dependent on any evidence, if theism is indeed ontologically true. You seem to misunderstand the purpose of the analogy as it is often used with regards to reformed epistemology. The analogy speaks to the nature of some properly basic beliefs, where some beliefs are so overwhelmingly warranted that they serve as intrinsic defeater-defeaters. Thus, if a person knows they haven’t committed a crime, then their belief in their own innocence is not only properly basic if indeed they didn’t commit the crime, but serves as an intrinsic defeater-defeater. This means that even if all the evidence (serving as possible defeaters) would somehow show that they are guilty, then they are under no rational obligation whatsoever to accept that they did commit the crime after all. Not only should they not accept this, but it would be irrational to do so for their knowledge of innocence serve as an intrinsic defeater of any defeaters that may be given. It doesn’t help to suggest that some good evidence might convince someone to the contrary, because that merely assumes that such a person somehow didn’t really know they were innocent. But this is precisely what the analogy denies: they can and do know that they are innocent, even if all the evidence somehow point to their guilt, and therefore shouldn’t accept any guilt. How would it work the other way around? The arguments would still be used for nonbelievers. This is only a problem if you assume that God would make the world exactly like what we see. I think you see where I’m going. No, that’s Plantinga. And Plantinga’s views have changed over the years, and Plantinga is not synonymous with reformed epistemology. Plantinga, personally, now thinks epistemic justification is easy to come by. That’s totally wrong. There is evidence for all sorts of claims we know are false. Stop saying I am misunderstanding. I don’t buy the analogy because I don’t buy the conclusion. Do you even know what analogies are and what they do? What they can do? No, I don’t see where you are going. It is in this particular world that I find myself with a belief that God exists. So, if God does indeed exist in this world (according to Plantinga’s model), and my belief is therefore warranted, why on earth would I think that this isn’t the world that He created? I suspect that very few reformed epistemologists, if any, would answer in a substantially different way than Plantinga to the objection that simply any kind of belief is justified on their view. And even where Plantinga does not speak for all RE’s, it doesn’t mean he is wrong. Why is that totally wrong? In fact, I agree fully with your statement that “there is evidence for all sorts of claims we know are false” (that is precisely why Plantinga says justification is easy to have). But how does this contradict the fact that if there is evidence that show a claim to be false, then believing such a claim is probably not warranted? I’ve touched a nerve! Sorry! Please note that I haven’t merely said that you are misunderstanding, I have made an effort of trying to explain WHY I thought so. So, instead of merely casting suspicion on the sufficiency of my knowledge, you might consider returning the favor. Isn’t that the more responsible and reasonable thing to do?